VUM – Visionary Unique Minds – the start-up competition of the year has its winners! All 8 teams had made it to the finals! They presented their interesting ideas. Some of the products and services were shelter for homeless animals, online library, sports complex, honey health benefits, services for students, equestrian centre and a new concept of а coffee library. Upon their online performance and the targets teams had reached, the 3 best teams won the special awards. The Freshbite team performed best and was ranked first by the professional jury. The team developed the interesting idea of providing solutions for fast healthy food, by using vending machines, selling fresh salads and dishes. 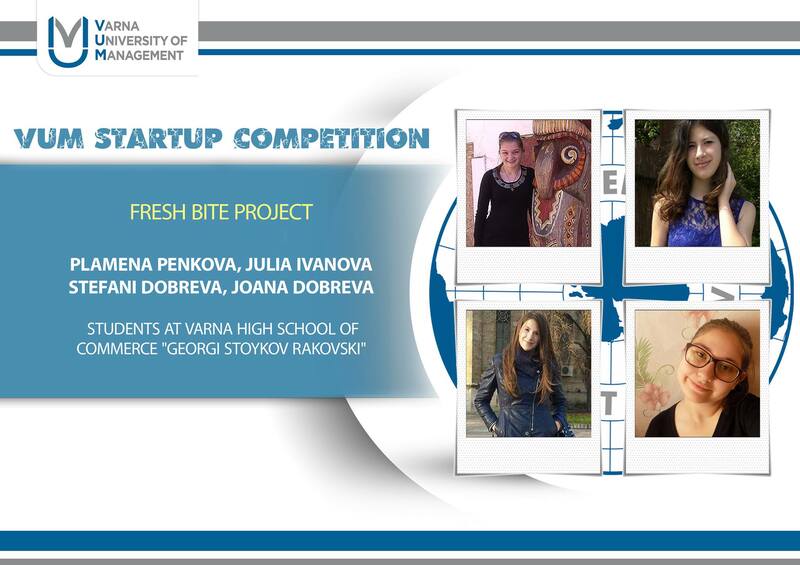 The Freshbite team – Plamena Penkova, Yulia Ivanova, Stefani Dobreva and Yoana Dobreva won 1000 Euro VUM schorlaships, a weekend in Bulgarian seaside resort Albena as well as free tickets to career consultations and mentors’ program at VUM. Stiliyan Nenchev was ranked second. His product – Shelter Hills would provide shelter for the homeless animals. 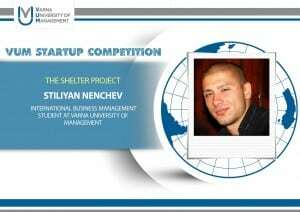 Stilyan would like to attract investor in order to create the animals’ hotel with grooming services in Varna, Bulgaria. The winner got a 500 Euro scholarship provided by VUM. The Weezam team (Velina Litchovska, Valeri Voynov, Evtim Gyondov and Zinayda Andreeva) presented the idea of online library for the students in Bulgaria. The team won the third place of the competition. Each member of Weezam got a 250 Euro VUM Scholarship. More than 40 participants from Bulgaria and Romania took part in the online start-up competition VUM – Visionary Unique Minds. Mentors of the teams and main supporters of the event were professionals from Bulgaria, Romania and England specialized in the fields of Online Marketing, HR, Event Management, Real Estate Industry, Business and Administration, Sport Management, Project Management, Tourism and Media.